A major objective for every business is to implement methods to improve quality standards. As an Outer Banks construction company, one of our main concerns is to protect homes against the daily impact of coastal elements. Two major culprits are wind and moisture, so discovering the innovative ZIP System® answered the call to increase structural stability while providing a protective barrier against air and water. An effective solution to dealing with a consistent one-two punch … so to speak! Many contractors continue to use the traditional housewrap method. Unfortunately the wrap can pull loose from plywood allowing water and air to penetrate the structure. Gone unnoticed, this can result in costly repairs years later. 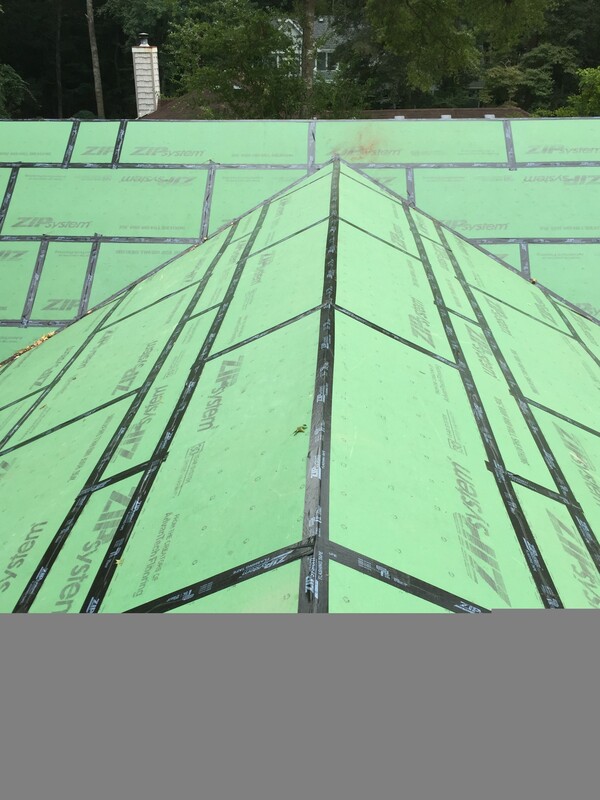 ZIP System® is a 3-in-1 panel that features a (1) wood structural panel, (2) water resistant barrier that is fused to the OSB panel, and (3) a specially formulated acrylic tape that adheres across and flows into panel seams to create an outstanding water tight seal. If there’s one objective a contractor and owner can easily agree to, it is the importance of maintaining a timely schedule for home delivery. Testing labs show that the installation of the two part ZIP System® is 40% quicker than applying traditional housewraps; and once installed the house is immediately water tight so tradesmen can proceed with interior work. In my mind, this is the ultimate definition of efficiency! As the owner of Dream Builders Construction and Development and an Outer Banks contractor since 2006, I have experience using ZIP System® products on walls and roofing since 2010. Over the years, the time savings and quality results have provided monumental value to me and my clients. It’s time to mark your calendars again! 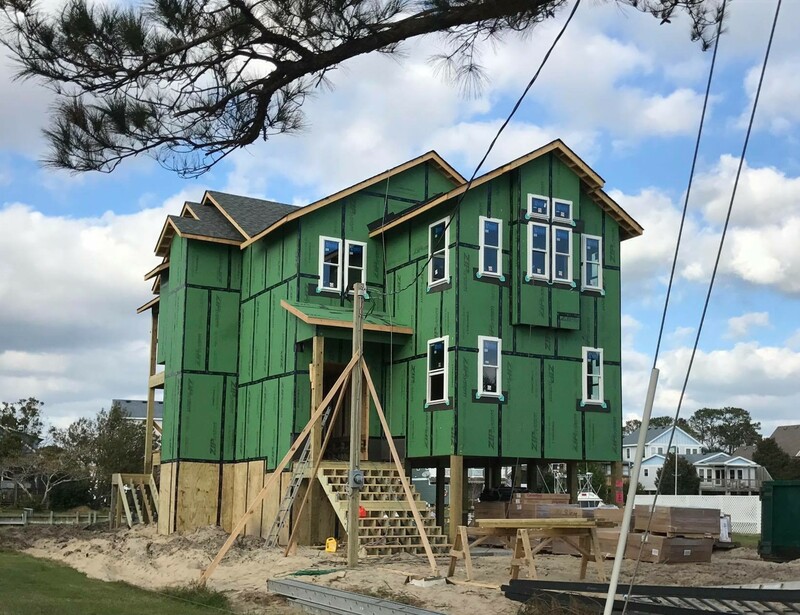 The dates for the self-guided Outer Banks Parade of Homes are set for October 6th through the 9th, and plans to ensure another successful event are in full swing. Our unbelievable fall weather is no longer a secret, and this annual Parade has become a highlight for many offseason visitors. The year’s event showcases 19 homes stretching from Corolla to Nags Head with houses range in size from just over 1,200 square feet to one that exceeds 10,000. This is a great opportunity to travel the Outer Bank’s coastline, meet contractors, discuss vacation rental investments, confer about home renovations and learn about new construction materials and trending decorative styles. Attendees pay $10 per ticket and receive a publication with property directions and brief highlights on each home and contractor. Your ticket is valid for the entire four days so you can tour at your own pace, and all proceeds are donated to local charities. The homes are open to the public from 10am – 6pm on Thursday through Saturday and the event ends at 3pm on Sunday. Featured homes compete in categories, and attendees cast votes that result in one “People’s Choice Award” winner per category. 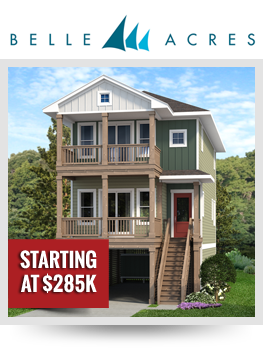 During the Parade of Homes, you’ll find our team in Dream Builder’s featured home, “Vitamin Sea – House #4” located at 623 Tide Arch in Corolla. Building this vacation property was a labor of love for all of us, and although it wasn’t listed for sale, it sold during the construction process! Our objective was to secure solid rental income by building an affordable Outer Banks vacation home filled to the brim with unique upgrades and fine finishes. Once complete, we carefully outfitted each room with an emphasis on upscale comfort, style and vacation fun!